Yep, the RS is so stable and well-mannered that I'm beginning to wonder if I should have bought the 24.5 rather than the 26. I haven't fallen off the 26 yet, despite paddling it in messy chop and also surfing and downwinding it. Have you tried a 26, and if so, how much less stable is the 24.5? Yep, certainly the RS 26 feels massively more stable than the 25 Blackfish in chop (surfs a lot better too). 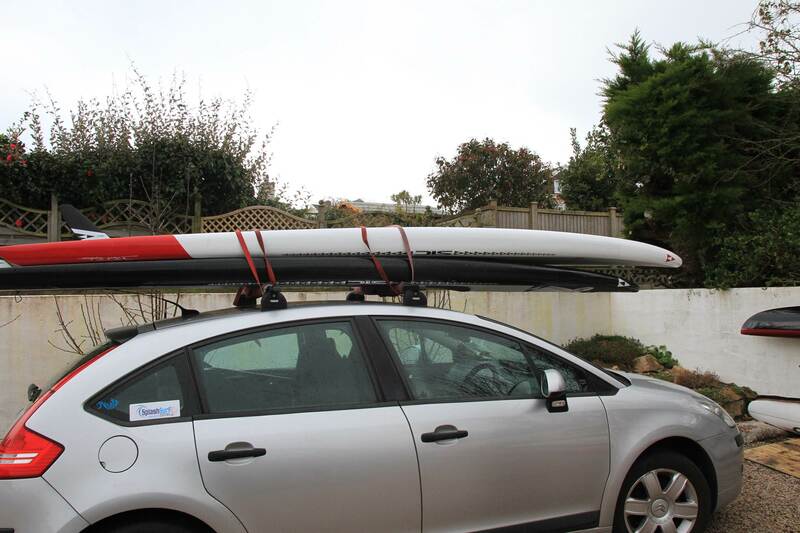 I think the RS actually feels relatively more stable in chop than it does in flat water, if you see what I mean. Interesting. Which bayonet are you talking about? Yes, the 26 RS is crazy stable. My balance is really poor and it even feels stable to me. It's more stable than the Bark Vapor, and that is generally acknowledged to be a very easy paddle indeed. I would think that few semi-serious competitors would need to go wider than the 24.5 unless they were real heavyweights. But I'd prefer to trade stability for that extra 0.01% of speed since I'm just a recreational paddler, not a competitor. Having said that, I'd actually like to own both a 24.5 (for FW), and a 26 (for choppy ocean and DW). That will be a fascinating comparison. I'm not sure about "halfway house" downwind designs yet (e.g. rocker intermediate between a race board and a full-rockered DW-only elf-shoe type design, moderately high volume noses). It is possible to find conditions that the Bullet V2 finds pretty awkward - more so than the Bullet V1, even if the V2 might be a bit faster in conditions that really suit it. So I'm wondering if the bayonet might be like that: really superb in just the right conditions for it, but with a fairly narrow tolerance outside them. In which case, you might as well use something like the RS. But Mark R really knows his stuff, so I'm keeping an open mind. Let us know how it goes! Yes that would be very interesting. Imagine the Christmas present two boards package deal :-) RS and Bayonet one to take over from teh other one when conditions changes. Took Bayonet on short DW today and was impressed. 20knt + but no predominent swell so just low wind driven as it was across a bay. Bayonet was quick and linked the low bumps with ease. my friend was on the 24.5 RS, he is a much faster paddler than me in all conditions and was .3 mph faster average with a max of 9.6 to my max of 9.3. Not sure that both boards are needed. Thanks. Good to know. I guess that a RS 26" would cover all conditions until it gets big then. Thanks TJR, and for the pics. The Bayonet looks like it has a little less nose rocker than the Bullet V2 - or is that just a trick of the camera? I haven't taken out the RS in bigger DW conditions yet (and with the collection of DW-specific boards I've got I can't really imagining wanting to). But my guess is that at some point that big floaty tail is going to become a bit of a handful to control, once the bumps get steeper. So maybe that's the point at which you'd need the Bayonet. A reasonably slim tail can be quite reassuring when conditions get unruly. 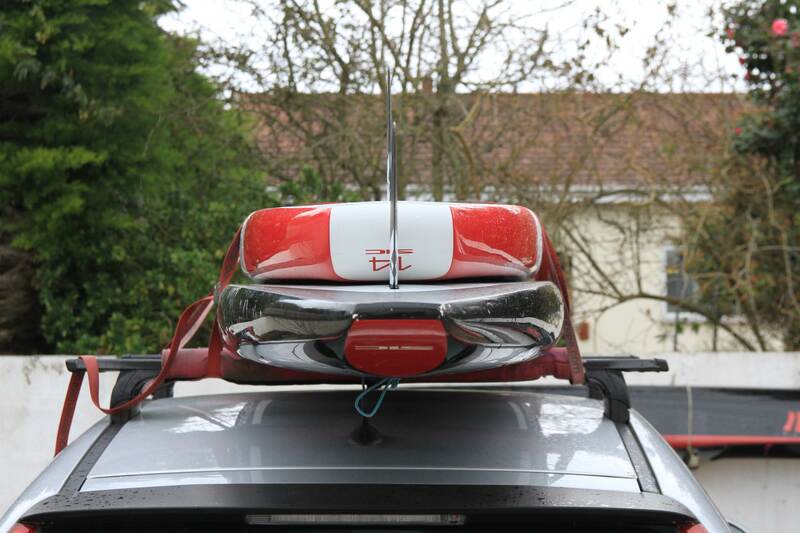 How does the RS compare to the Bayonet for surfing? Wouldn't it be odd if the RS was actually as good (or even better)? But my guess is that at some point that big floaty tail is going to become a bit of a handful to control, once the bumps get steeper.A reasonably slim tail can be quite reassuring when conditions get unruly. Yes, I agree. I had read in some review somewhere or other that it wasn't particularly special for surfing, so I was very pleasantly surprised when I first caught a wave on it and discovered it was actually rather good. Btw, TJR, are you using the standard 8.3" Weedless with your RS? if so, and you want a bit of extra speed, try a smaller fin. The SIC Weedless 7.0 would do it. Or the VMG Mako 35. And for surfing, I prefer a FCS Fat Boy or a Squirrel Cutaway (True Ames or Fluid Foils) in 10": more control and manoeuvrability. The only problem is that you might need a bit of adjustment of non-SIC fins to fit the box. The only irritatimg thing I've found so far about the RS is that the finbox is a tad narrower and shallower than e.g. a standard Futures 10" longboard box. So a bit of sanding is needed before some fins will fit. I really do wish that the industry would pick a universal standard (hopefully not a Chinook or else none of my fins would fit!) and then install the boxes very carefully. Having said this, the finbox issue with the SIC is not as bad as the fit with e.g. my Starboard Ace. 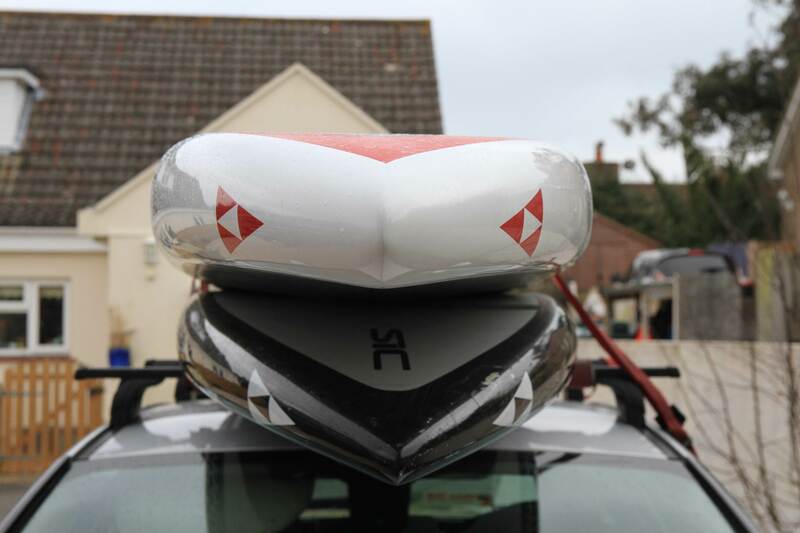 But still... when I bought a custom DW board not so long ago (Grey Paddleboards) virtually every fin I tried fitted beautifully first time, and the fit with the screwless designs like the FCSII Connect is perfect (some sanding and struggle is required for the RS). So it's annoying that I can get a custom that's perfect whereas at the Cobra factory they are probably trying to save a few pence by fitting cheaper boxes, or doing it more sloppily. And for that the board owners have to suffer a daily irritation. Please, Mark Raaphorst and BIC, get the Cobra factory to fit genuine Futures 10" boxes, and get them to do it carefully. I don't mind paying the extra 50 cents it would cost. It's one of those aspects of a board, like the handle, where a tiny bit of extra money and care makes a massive difference to the ownership experience of the board. It's false economy to compromise on it. Well I reckon that SIC have that the wrong way round, and it should be the 7.0" in the RS and the 8.3" in the Bayonet. I can see the reasoning (e.g. bigger fin for a bigger arse) but as so often with fins, theory doesn't survive contact with the real world. messy stuff over 25 knots. So, I have already tried the board (14'0 x 24.5) in several conditions: downwind on an inlet and rivers (with 30 knots), pure flat and surf. Now I only have to try it on a proper ocean downwind. My impressions are the same as anyone else that already posted here about the board: super stable (for its width) on all conditions and fast (very nice glide). It was really playfull on the downwinds I did; I had more stability than what I was used to and since it's also a fast board I can catch all the bumps nice and early. This gave me the confidence to play a little in the bumps, turning, trimming and just having fun. Can wait to go for an ocean downwind! I've tried three times in the surf. Waves were between 2-3 ft and windy on some of the ocasions.. It's an 14'0 so it's not easy to handle in the surf (the 12'6 is much easier), but if you are a good surfer you will have no problem with, just try not to get that nose in the water surfing or going through the whitewater. I caught a few closeots and the board responded well; I went in early, walked to the tail and lifted the board nice and easy. Also, on occasion, the withewater hit the tail (on the closeouts) and I managed to control the impact and continue to surf it to the beach. I hope I get my new GoPro soon so I can do some videos on downwind and in the surf. 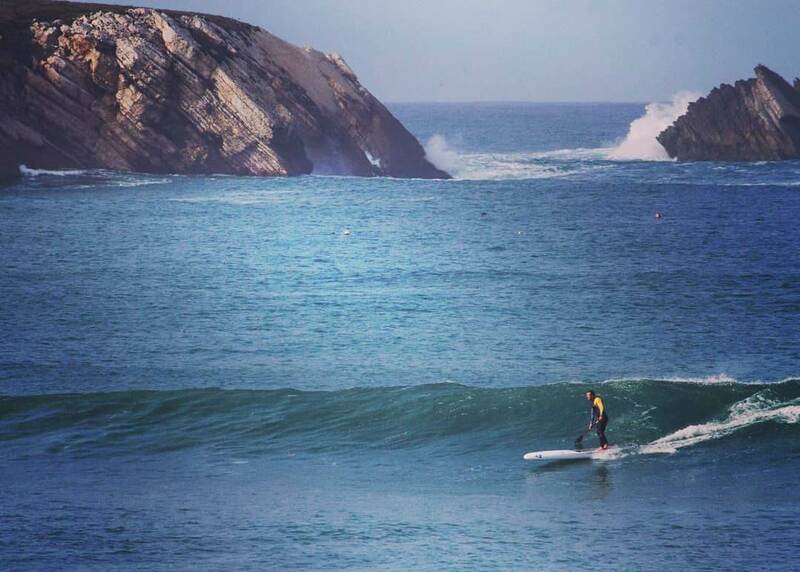 I'll leave you with this amazing photo of my friend Diogo Caseiro surfing the RS 12'5 x 25'' in Peniche. "Stability (23", 24.5", 26" All Stars vs 23" and 24.5" RS). The All Star has better stability. Both initial and secondary stability. When we say stability, we are talking specifically about side to side." Quote from 101 surfsports and I disagree. The new Allstar is less stable forward, sits high in the water and in my opinion has less initial stability than RS 24.5 if your comparing similar widths.. it's a little corky with the high center of balance. Final stability is similar but I would give a slight nod to the Allstar with it's beveled rail. I think for an advanced or pro level rider the Allstar is a board that offers more versatility- rough water and flat water ... but for 90% of paddlers the RS will be more comfortable and therefore faster.